Children's System of Care and Transitional Age Youth offers children, adolescents and their families a variety of mental health services. The following programs focus on services provided to strengthen families and children. Mental health and alcohol and drug services to youth who are on probation and their families or caregivers. Goal is to keep youth with their families, reduce criminal behavior and strengthen families. Outpatient program for children 0-5 years of age and their parents. Services include parent/child therapy; play therapy; education on child development; assessment for social emotional and developmental health. Focus of treatment is to provide assistance in developing healthy relationships between parents and their young children who might be experiencing distress due life stressors or challenges with temperament. The childcare consultation program works with daycare providers by providing skills for dealing with challenging behavior in the classroom and being a liaison between parents and teachers. The goal is to have children and families ready for kindergarten. This program is partly funded by the Stanislaus County Children and Families Commission. 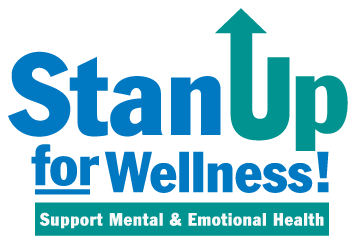 Mental health providers work in all communities within Stanislaus County. Provides assessments, referrals and connection to providers, as well as mental health services to high-risk children, adolescents, and their families. Includes individual, group and family treatment. Provides services to children and adolescents who have been identified as emotionally disturbed, includes on-site school services, respite, wraparound services, advocacy and clinical services. Services also available to family members. Assessments, referrals and mental health services to children, families, foster families and group homes. Helps children remain in the most home-like setting possible and assist them through the child welfare process. The Children's System of Care offers children, adolescents and their families a variety of mental health services. The following programs focus on services provided with community partners to strengthen families and children. Outpatient counseling services for children and families. Outpatient counseling services for children and families. Therapeutic Behavioral Services are provided to children that meet the criteria for this intensive behavioral shadowing. TBS works one-on-one with children to stabilize them in their current placement in order to avoid placement in a higher level of care. Individual and family counseling and support; parent education and advocacy groups; children's skill building groups; referrals; case management; and medication services. The FSP program in Stanislaus County works with underserved children and youth ages 6-17 and families who have a mental illness or condition, have been hospitalized (or are at risk), and those who need individualized mental health services and linkages to services. Provides youth and family counseling in community and school-based settings; crisis intervention, assistance with runaways, juvenile diversion, violence prevention, support groups, teen pregnancy prevention education and adolescent substance abuse preventions services. Focus on empowering parents of children who are challenged by their behavioral and/or emotional needs through support, information, mentoring, advocacy and parent-child centered activities. Respite, recreational activities and legal services to relative caregivers and children in their homes. In-home mental health services and support for high-risk children and their families. Individual and family therapy, as well as parent education. Mental health services to relative caregivers and children in their homes. Alcohol and drug treatment for high-risk youth and their families. Services include assessment, case management and aftercare. Individualized educational and mental health services for children in the Day Treatment Program. Services include individual, group and family therapy, child advocacy, referrals and medication services. Provides a continuum of mental health services to Emotionally Disturbed (ED) children in the public school system. Counseling services provided to children on the school site. Family therapy and child advocacy are also included. The program provides full academic assessment, specialized curriculum for learning disabilities, vocational education, crisis intervention, an activity program, and family counseling. Instruction is designed to fit the individual needs of each student, kindergarten through eighth grade. Social skills training, art, music, drama, and community outings are some of the self-esteem building activities of the school program. Individual, group and family counseling to children 6-17 years of age. Early Intervention Program focuses on providing prevention and treatment services to children 0-5 years of age. Consultation services for children and families are provided in school, head start and child care settings, teacher and parent education is also provided. Services include counseling support in the classroom, social skills instruction, behavior management, and case management. The services are designed to meet the needs of children who qualify for special education services in the least restrictive educational environment. adults (TAYA) with mental illness. Outreach to and participation from Gay, Lesbian, Bi-sexual, Transsexual and Questioning (LGBTQ) youth are included in the cultural sensitivity of services provided. English, Spanish, Laotian, and Thai languages. Provides assessments, referrals, groups, counseling, case management and medication services.